WhatsApp recently turned ten but the Facebook-owned instant messaging company did not release an app for Apple iPad users. While WhatsApp supports Apple iPhones, Android phones and tablets, it did not add support for Apple iPad for some unknown reasons. However, that’s going to change very soon as references to WhatsApp for iPad were spotted on the latest WhatsApp for iOS v2.19.40. The new update for iOS brings various bug fixes, and at the same time, it reveals that WhatsApp is in advanced stages of releasing an iPad app. 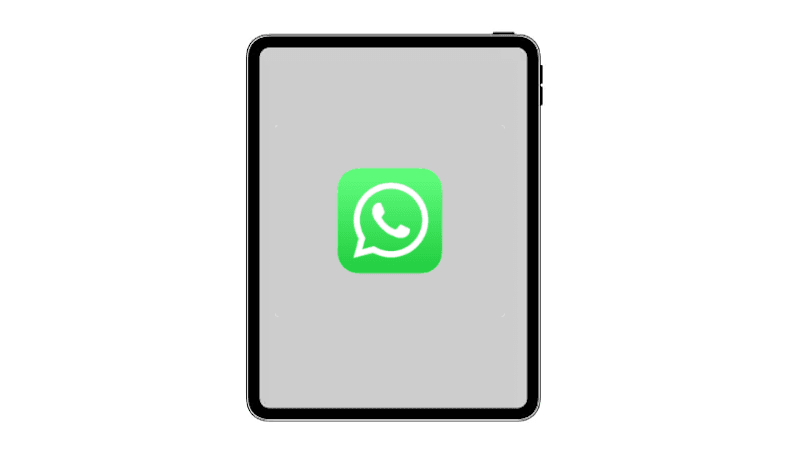 Unlike what rumours said earlier, WhatsApp for iPad will be a standalone application and it will not a WhatsApp Web client, meaning you can log in with your mobile number on an iPad and start messaging to the contacts. One of the reasons why WhatsApp become so popular is because of its simple user interface. The upcoming WhatsApp for iPad will have a similar interface as WhatsApp for iOS and it even brings the same features to the table. WABetaInfo reports that WhatsApp for iPad offers audio & video calls, WhatsApp Status, Groups and it even has support for a landscape mode. It even supports WhatsApp Stickers which the company introduced to Android and iOS apps late in 2018. WhatsApp recently rolled out authentication feature to iOS users and the same will be available for iPad users as well. For the unaware, authentication feature on WhatsApp allows users to secure their account using the Touch ID or Face ID depending on the iPad model. The newly iPads come with Face ID while the older ones feature Touch ID, similar to Apple iPhones. And as mentioned, WhatsApp for iPad will be a standalone app and it will be available for free to download once the company releases it on App Store. Millions of iPad users have been asking WhatsApp to bring support for iPad for years now, and finally, the company is working on the same. Having said that, WhatsApp for iPad is still under development and there’s no information on when the company is going to release it to the public. However, WABetaInfo states that WhatsApp might release a beta version of iPad version in the next couple of weeks, giving access to the early testers. In other news, WhatsApp is under extreme pressure in India as the Government is after the company asking them to combat fake news ahead of the General Elections 2019. A recent report revealed that WhatsApp and Facebook are the two major portals which are spreading fake news in the sub-continent. WhatsApp is taking a lot of measures to curb the spam/fake news in India, but nothing seems to stop the spreading right now.